Creative Master Northcord Limited has proudly released its second livery on the replica Hino Selega Coach model, JB2002, in Kintetsu’s colours. 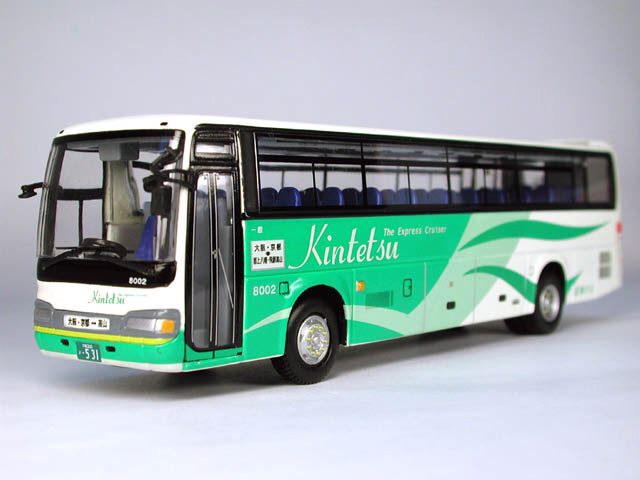 Kintetsu is one of the biggest coach and bus operators in the Osaka area of Japan. 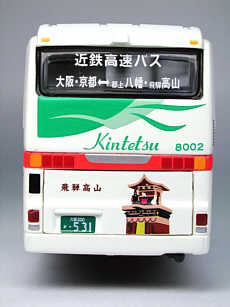 Kintetsu operates around 370 coaches and buses. 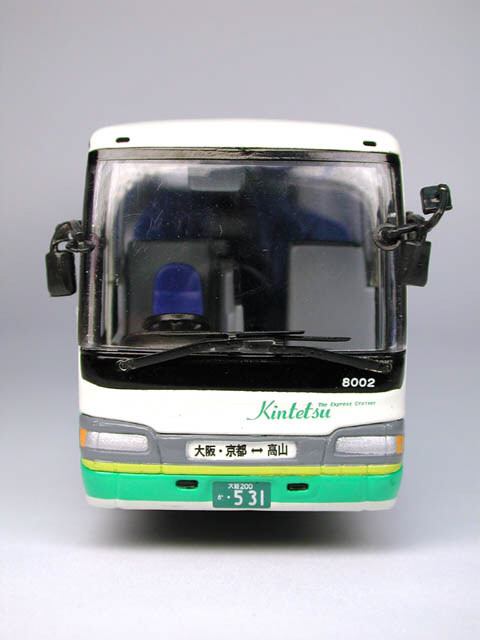 The replica of fleet number 8002 is a Hino Selega R FD. These coaches run on a highway-express service connecting Osaka / Kyoto to Hida Takayama, a historic city of Gifu prefecture. A single journey will take 5 hours. The replica features excellent detailing, inside and out, including an opening engine door, engine detail and a first - a toilet facility at the rear of the passenger compartment. 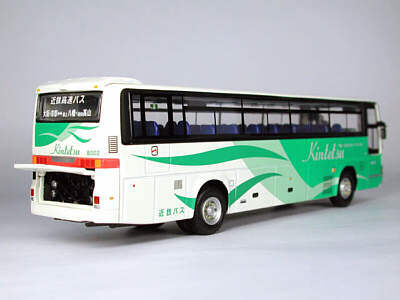 This is a one-piece casting whose clean lines accentuate the windows and livery application on which all logos and lettering are clearly legible. The model has no ugly metal poles to hold it together. The Hino Selega Coach is the sixth 1/76 scale diecast bus or coach from Creative Master Northcord since 2000, following the Volvo Super Olympian / Alexander 500, Mitsubishi FUSO MP non-step bus, Volvo Olympian / Alexander Royale, Dennis Trident / Alexander ALX400 and Shanghai Sunwin Volvo B7R. The JB2002 model is limited to 500 pieces for the UK and Hong Kong. 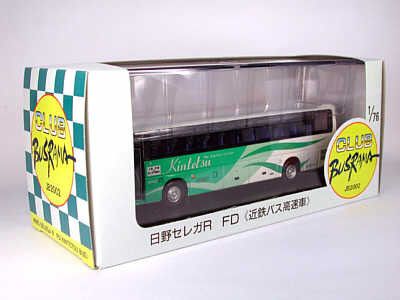 They will be distributed by John Ayrey Die-Casts Limited (UK) and Concorde Hobby Shop (HK) respectively. 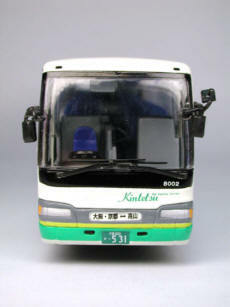 Creative Master Northcord Limited (CMNL)------The World’s Miniature Bus Co. 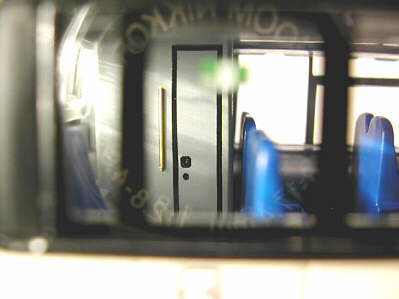 Note the detailing to the toilet compartment.